Why You Need This: Let's face it, chains and sprockets are an ongoing wear item for motorcycles like the Honda CB350 / CB360 / CB450. Depending on how well the previous owners kept up with chain adjustments and proper lubrication on the sprockets and chain your front sprocket may be very worn out. 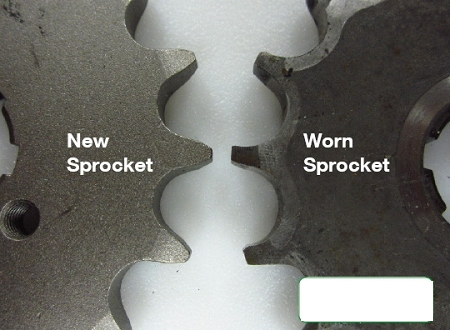 Sprockets should be changed out when the teeth are thin and pointy (see the picture). Our replacement front drive sprockets are exact replacements for the factory sprocket originally found on your Honda. It's made from high quality steel with the proper factory 530 chain pitch size. Front drive sprockets are available in different tooth counts to match the factory drive ratio or you can change the tooth count to fit your riding style. If you need help with chain length contact us . Each of these front sprockets, regardless of tooth count will fit any of the models listed in the chart below. 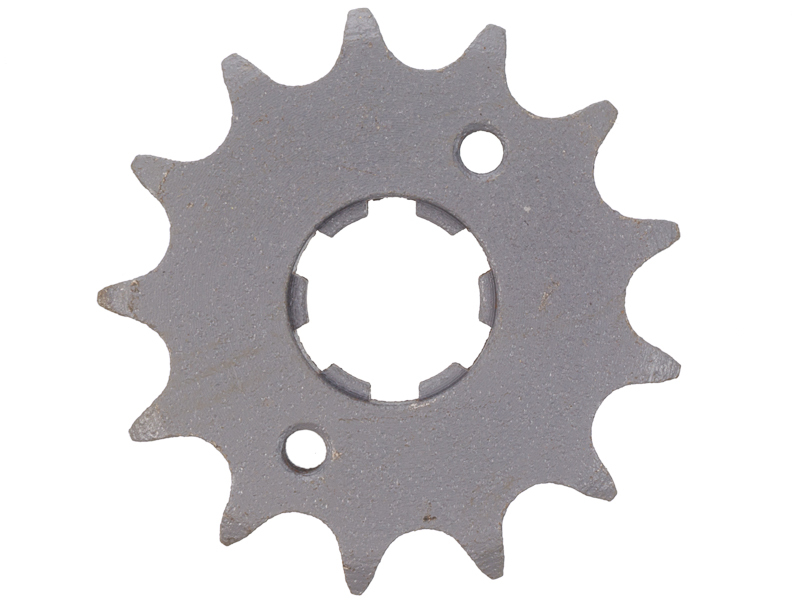 Installation Tip: Changing the number of teeth on front sprocket will change the final drive ratio of your bike. Fewer teeth will give greater acceleration but less top end, while more teeth will give better top end, but reduced acceleration. A new chain cut to the proper length (number of links) must be installed when changing out to different sprocket sizes. If you are installing a new front sprocket it is also a good idea to replace your rear sprocket as well. Use a high quality chain lube, such as Bel-Ray super clean.